UV Pro outdoor fabrics are woven with 100% solution dyed acrylic yarns, giving the consumer a 5 year limited warranty against fading from harmful UV rays. Once again UV Pro is your guarantee and peace of mind of no hassle fabrics. We custom Make outdoor and boat cushions in no time. Give us your templates or sizes, choose your fabric and you can have your new cushions within two weeks. Replace Your Saggy Sofa Cushions. 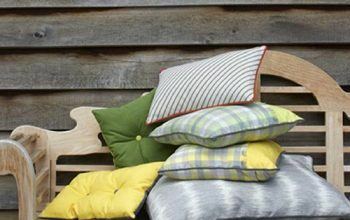 Replace your Saggy Sofa Cushions with our One Hour Replacement Service. Our 3-Fold bed in a bag is Lightweight, Comfortable and easy to Store. Perfet for Sleepovers, Guests and camping. 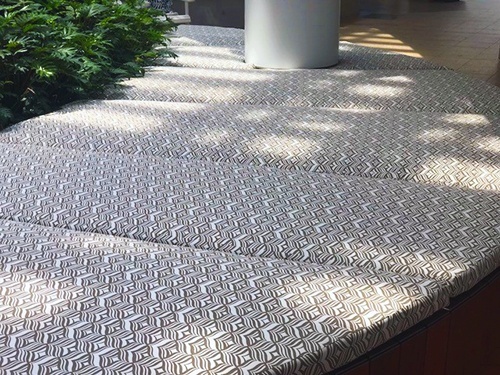 Custom Outdoor cushions using DRICELL outdoor foams. ALL OUT Collection an addition to the UV PRO outdoor range family consists of a beautiful compilation of plains, solids,and vinyls. The diversity of the "All Out" collection incorporates contemporary, transitional and traditional designs in a true medley of fashionable and classic colours and as such can be used for years and years. "ALL OUT" is woven with 100% solution dyed acrylic yarns, giving the consumer a 5 year limited warranty against fading from harmful UV rays. The Vinyl in the All Out Collection is limited to 2 years warranty .Once again UV Pro is your guarantee and peace of mind of no hassle fabrics. Custom Outdoor cushions made to order. DREAMER, our new mattress you only dream about. We specialise in custom outdoor cushions for furniture, daybeds and boats. Let us help you transform your outdoor entertainment area with stylish designs that are water & mould resistant. 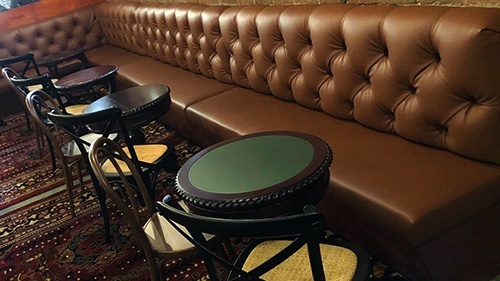 We work with some of Sydney's leading commercial developers, restaurants and bars to provide stylish & durable custom seating solutions for indoor and outdoor areas. If you're after foam based products, you've come to the right place. We can supply a variety of foam based products ranging from mattresses, chairs & cushions to yoga mats and floor tiles. We love and take pride in helping our customers create stylish and colourful foam based products. You can check out some of our creations and see how we can transform your living or commercial area. We provide an extensive range of custom solutions and are happy to cut foam to suit your individual size and requirements. 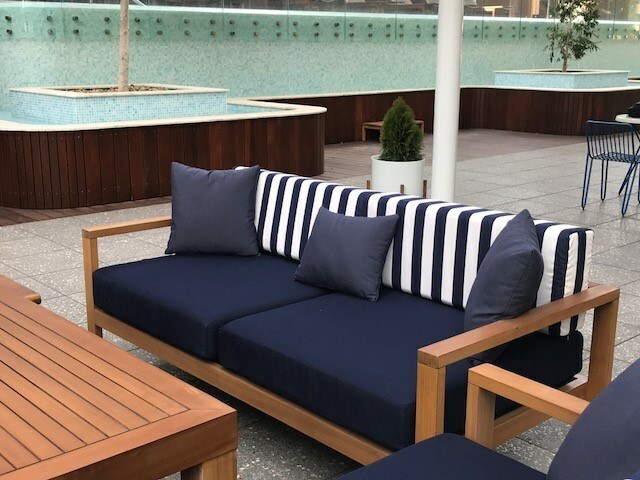 Whether you're refreshing a sofa, need cushions for outdoor furniture or need a solution for your boat, we have the experience, expertise and knowledge to help you.